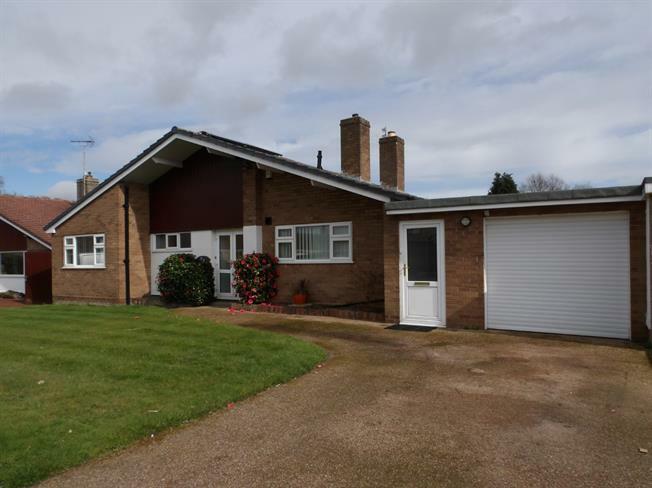 Occupying a highly sought after location this property is coming to the market in need of some modernisation but is a great opportunity to purchase an 'Ashall' built bungalow which offers highly versatile and spacious accommodation, with the added benefit of no onward chain. In brief the accommodation comprises a large entrance hallway with storage cupboards, a fantastic size lounge overlooking the rear garden which leads onto the dining room with French doors, a good size kitchen which also provides access into a utility area and extended garage with electric door. The property also boats three generous size double bedrooms with fitted wardrobes to the master and a three piece family bathroom. Externally the property is laid to lawn at the front with a superb private garden to the rear with a shrub border as well as off road parking for numerous vehicles.